Especially since they could send him against a possible 'last man standing ace' Sage (if Jjakji goes down) as a PvP sniper. Inca vZ will probably be DTs again lol. Hope he play this decently and grab a win back for oGs, although that's very unlikely. Man gunrun is super double plus awesome. Lag is gone. is sc2 really such a boring game that u guys have to discuss why u have and have not played singleplayer sc2 and for how long u played it and on what difficulty and who made u play singleplayer and what u think of it and .... is there nothing to comment on? 5 minutes into the game and you keep on talking about stuff no one cares about.. I don't think SuperNoVa was available, but I didn't mention him, did I :D? I think brining VINES as your 'ace' since he's in very good shape right now, if Jjakji is down they will probably send out Sage and InCa is PvP sniper. SuperNoVa is someone I would send if you are down x-4 because he's good overall. That clearly wasn't Inca...no DTs were used. lol Inca won . Now that's what I'm talking about. No punishment of a a 3rd base which is build on 1SG/1Robo/1gate infrastructure, and Seal didn't take the opportunity to heavily drone/expand aggressively. Game was over for a long time then. That was a weird game, kinda anti-climactic. I also really do not care for that map. It's because you didn't see them ! 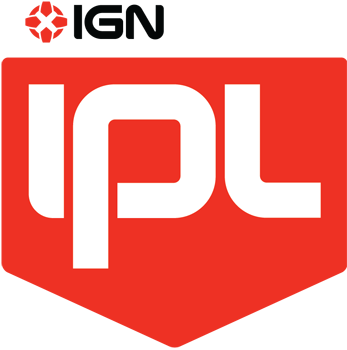 I've never seen that promo for IPL4 before, it is absolutely incredible! Wonderful job by whoever worked on that. It suddenly makes sense now! InCa really looks like he wants to play some gateway allin. 2 gate expansion with 2 gas going for a lot of sentries and very delayed tech really looks like 5 6 7 8 gate push. I do realize his record against top Terrans is not very good, but he certainly is in very good shape right now. OP wasn't updated, i thought only Fin was down. Well, with thestc and forgg out, supernova not available, it's gonna be hard if oGs lose Inca too fast. It's the double retard magnet combo. Retard magnet factory at nat -> retard magnet drop in main -> snipe natural. From what I can find, Jjakji is 2-0 against Vines. Oh.. actually, I don'"t know how oGs will win this now. ForGG , TheStC and Inca down, while NSHOSO still have Jjakji, San and Sage ? you guys dont think ogs has any strong unknowns left? The key mission for oGs now is to snipe Jjakiji immediately. If Vines lose this game, I don't see anyway for oGs to win this even with Supernova. TOP could take Jjakji. From what I remember he has great TvT, which seems to be Jjakji's Achilles heel. Oh well, maybe weaker match-up is a better choice of words, as he's got 55% wins in TvT. Wow, great drop micro by Jjakji. TOP has been going up and down for a while, but if he's back on the upper half of his swings he could be used to good effect. Edit: forgot to mention Jjakji's cute micro. <3 Jjakji - micro machine! Well yeah, i think NSHoSeo had this. Wow that might be the most lopsided game I've seen in this tourney. Illusion the only hope left in my opinion. Vines being picked apart by Jjakji. A drop annihilates him and he GG's out. 4-2 NSHS, unless I'm mistaken. Awesome play from Jjakji. Love how he plays low econ all game long while ending up on 3base with alot of raxes and upgrades behind it. Why not sending TOP ? Imagine if NSHS gets all the way to the finals only to get all killed by Marineking for the second time this year xD!